Or did the heartland just swallow 'em up? 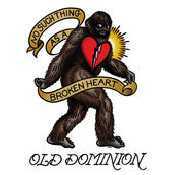 Estamos Escuchando No Such Thing As A Broken Heart de Old Dominion con letra en este video de música online con en el video clip con estilo Country y editado en (2017) e incluido en el disco ''Singles''. El tema "No Such Thing As A Broken Heart" es el mas escuchado del CD donde puedes ver su letra y las canciones Top "No Such Thing As A Broken Heart" ,"Written in the Sand" ,"Stars in the City Old Dominion feat. Little Big Town" ,"A Girl Is a Gun" ,.